Here are my favorite memories from our week-long voyage. I’ve always loved the water. When my brother and I were little, we’d lock ourselves in the bathroom and play “hotel boat,” dreaming of the day when we could vacation on a riverboat. With Le Boat, our dreams came true! It was so much fun to be a deckhand and learn all of the skills that you need when traveling by boat. I learned how to navigate the locks, how to tie the boat up for the night, and how to work the numerous parts of Le Boat’s 45-foot luxury cruiser, called Horizon 4. 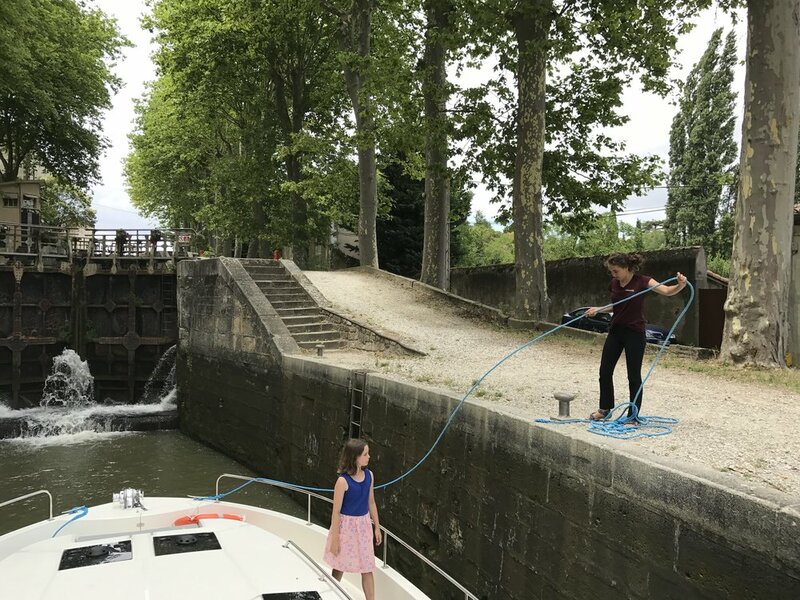 Instead of fighting over who’d take a break when we came to one of the many locks along the Canal du Midi, my siblings and I squabbled over who'd get the chance to jump out and hold the line. We boarded our cruiser after spending a few days in busy, tourist-packed Paris. It was nice to unwind on the breathtaking canal in southern France. A week-long cruise on Le Boat gave me a chance to rest, relax, and spend some quality time with my family. It was the ideal vacation. My brother and I shared a cabin, which gave us opportunity to work on our love (and yes, sometimes) hate relationship. We had long talks every night and stayed up late laughing and sharing stories. It made me happy to grow closer to my brother and my two sisters during the trip. Together, my siblings and I enjoyed watching the beautiful countryside go by while my dad tirelessly drove the boat. By navigating our own boat, we had the chance to stop and really look at our surroundings. My favorite sights were the numerous sunflower fields. These seas of yellow seemed to stretch on as far as the eye could see. I also loved to look out for wildlife. We saw ducks, geese, muskrats, otters, and lots of native birds and fish. We took advantage of the open-air deck to enjoy nature while playing cards, reading, and eating dinner together. Don’t tell my parents, but I honestly didn’t miss my electronics or TV. One of the best parts of our Le Boat family trip was the opportunity to meet new people from all around the world. We made a lot of friends on this vacation - more than we would have staying in hotels! I don’t know what it is, but there’s something about boating that brings people together. On our first day aboard Le Boat, we had the good fortune to go through the locks with an Australian family who had three kids around our same ages. We became very close with our new Aussie mates and went on many outings together. We rode our bikes beside the canal and into nearby villages in search of baguettes and crêperies - oh, so many crêperies! We also enjoyed potlucks together, and while the adults talked and sipped wine, we played cards on the deck of the boat with the sun setting behind us. We also met a very kind Austrian couple who gave us some of their leftover provisions before we left Castelnaudary. Such generosity! Meeting new, international friends made this trip rich and memorable. The boat doesn’t go very fast, and sometimes I felt cooped up. That’s when I’d unload a bike (rented through Le Boat) off the back of our boat and go for a spin! I'd stretch my legs and go see more of the countryside. I wasn’t afraid of getting lost, because the towpath follows the canal. This simple activity was easily one of my favorite parts of the trip, because I love biking! Make sure to have your parents rent the bikes. 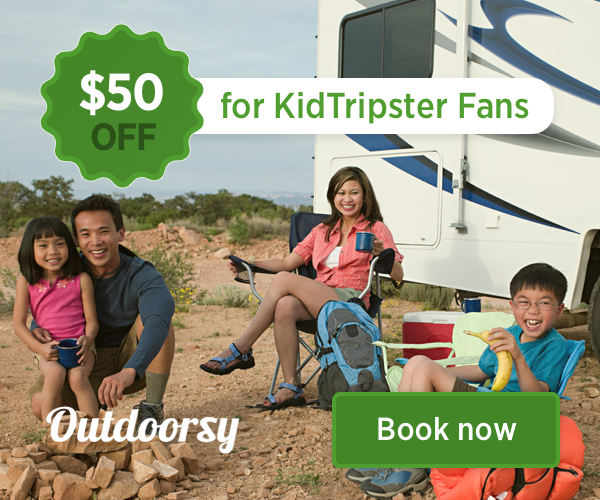 KidTripster Tip: Keep a good hold on the bikes when you take them off the boat. One time, we were unloading our bikes, and we dropped one! A wild panic ensued as the bike sank to the bottom of the canal. We finally found a hook and retrieved the submerged bike. Thankfully, the bike was fine, and we had a good laugh over it. KidTripster Tip: Though you may be tempted, know that you can’t swim in the canal. Our time on the boat was fantastic, but it wouldn’t have been the same without the opportunity to go on excursions in the various towns that we passed. In each place that we visited, we found a fascinating blend of culture, history, and fun. 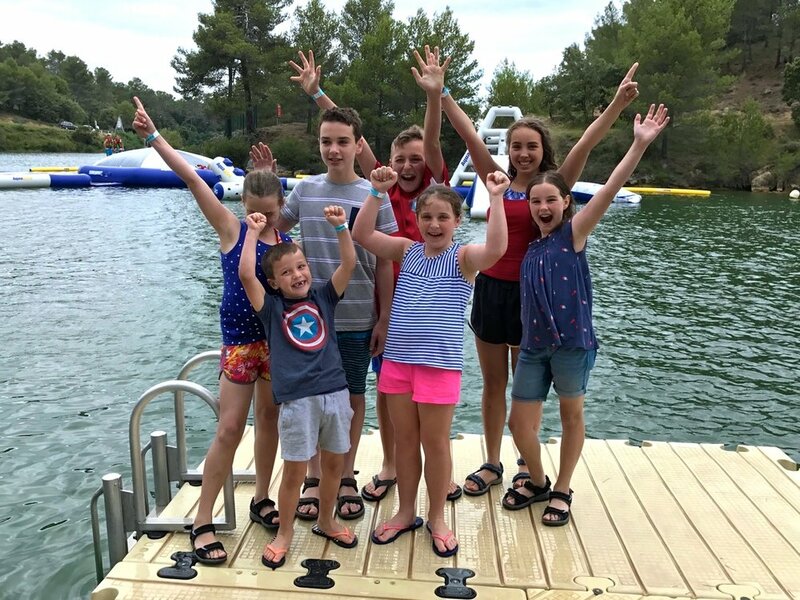 My family’s favorite outing was to Parc Aquaviva, a water park just a short bus ride from the port in Carcassonne. After being on the canal for several days but unable to swim, we were ready to get wet! Aquaviva was the perfect place to cool off and have fun on some slides that I’m pretty sure wouldn’t be allowed in the USA - the kind that require helmets! I also loved exploring the medieval city of Carcassonne. History really came to life when we witnessed a jousting tournament near the castle. Our cruise concluded on the eve of Bastille Day. From our boat, we watched the explosive fireworks light up the sky over Castelnaudary. 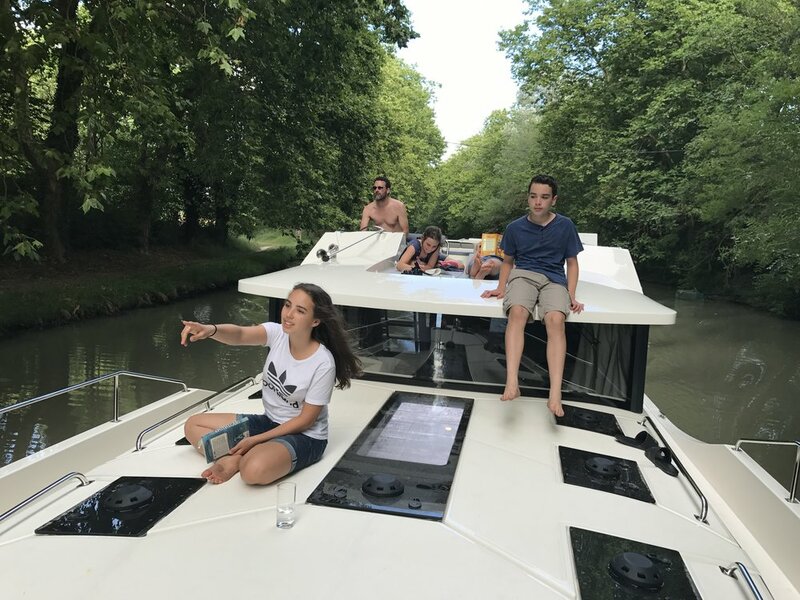 From start to finish, boating the beautiful Canal du Midi with my family was a dream come true. Thanks to Le Boat, for the memories! Lili Rosebrook is a high school freshman from Oregon. She loves to spend her free time playing with her three siblings, acting, singing, and reading. She also enjoys biking and is training for her second, long-distance bike ride to raise money to cure multiple sclerosis. This writer received a complimentary cruise for the purpose of this review. However, all opinions expressed are solely her own.